It's been rainy and rainy and cold lately. Autumn's here in Melbourne and cold days are here to stay. 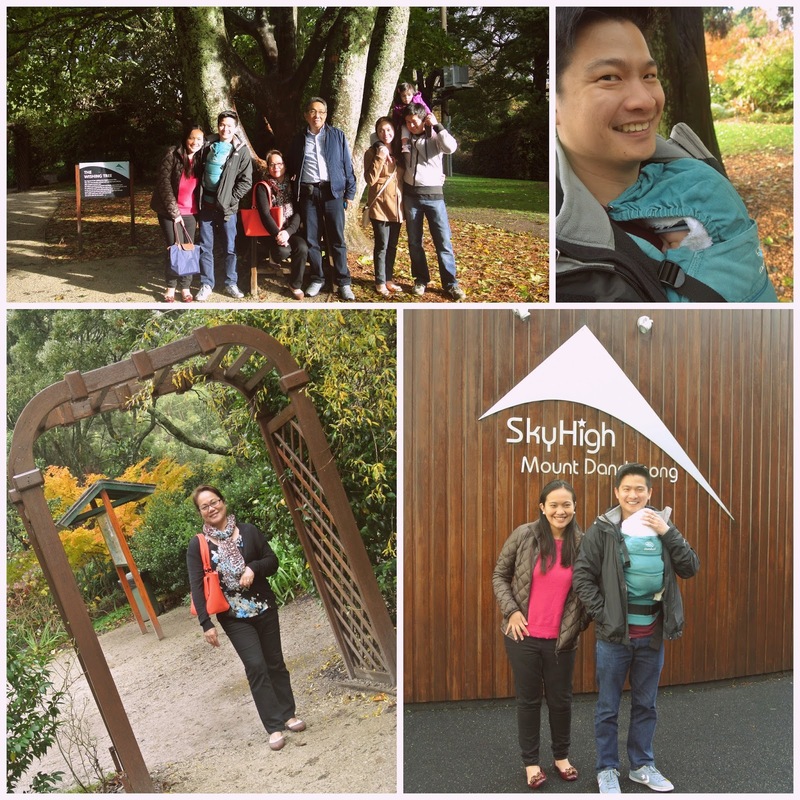 We wanted to take advantage of the ANZAC weekend to explore places and while the forecast was rainy, we're grateful the rain stopped a bit for us to enjoy and take lots of photos at Sky High. 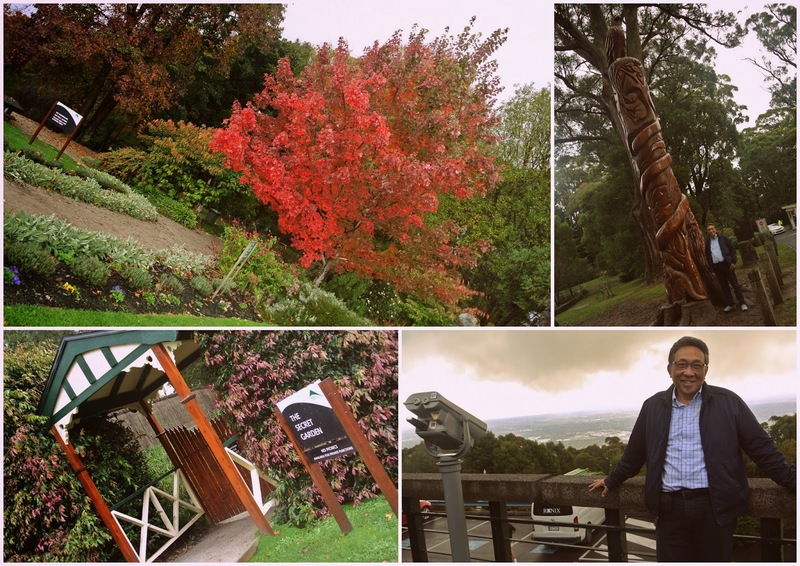 It's hard lately to have all of us complete with J only available on weekends and the sis and bro-in-law working in shifts so it was good to have all of us for a quick visit to the Dandenongs. It's also good to cross off one thing off the list and at the same time bring the folks out and enjoy the time with each other before they head back home. Sky High Mt. 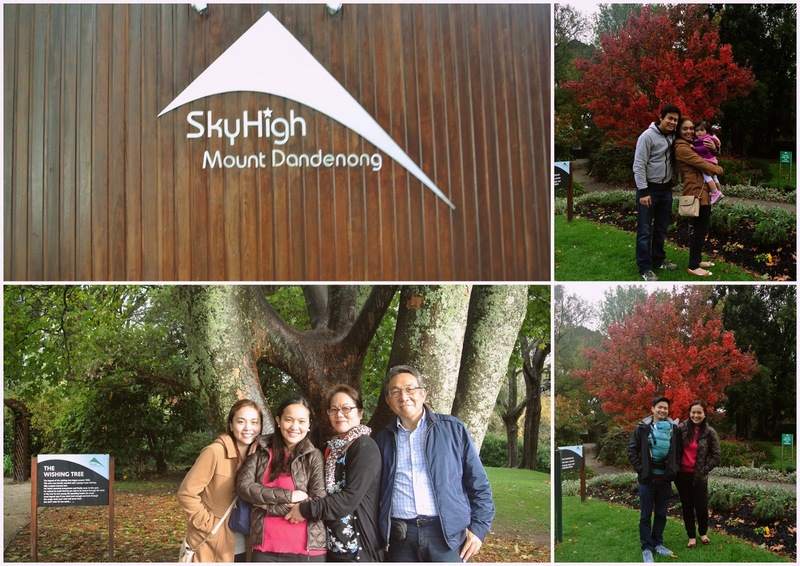 Dandenong reminds me of Tops in Cebu. An hour's drive from Melbourne with a great view of the city from the top. The area has a few attractions to keep tourists and visitors occupied. I think it will take a good hour or a bit more if you really want to explore and go around the place. 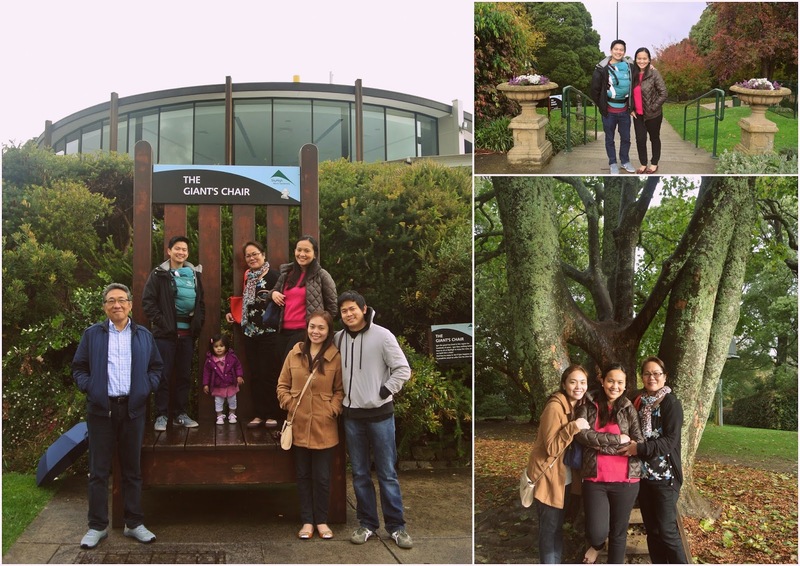 Because it was very cold, we were content to skip a few attractions including the maze. And what's a visit to the Dandenong Ranges area without some Devonshire tea? 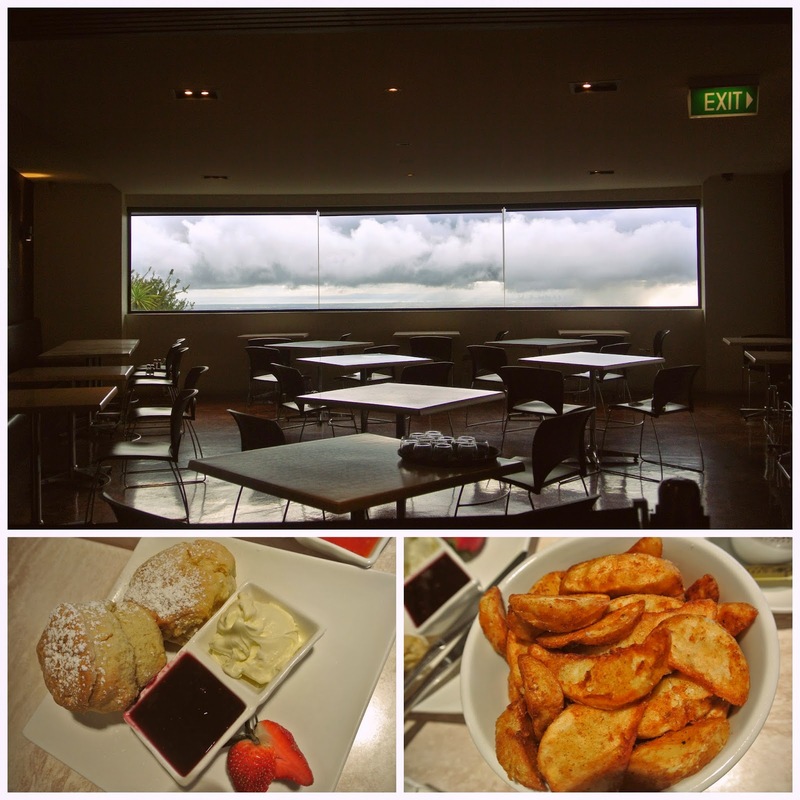 We had afternoon tea at The SkyHigh Bistro and Restaurant before calling it a day. And the bonus? Seeing the sunset with the city in the backdrop. Beautiful.